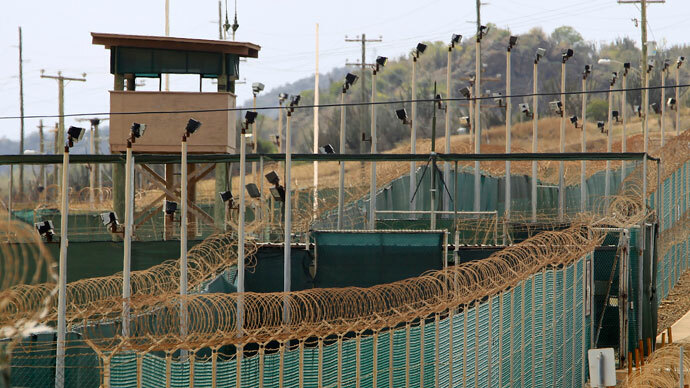 Amnesty International listed US indefinite detention of 166 prisoners at Guantanamo as the country’s primary human rights concern in its latest annual report. The paper also denounced drone strikes and uninvestigated deaths from secret CIA detentions. A source at Amnesty told RT that the only solution to the current hunger strike at Guantanamo is its closure and that they had no information on the current conditions of detainees at the camp. 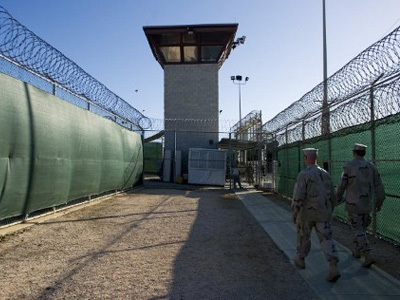 The source added that they are doing a lot of campaigning on Guantanamo and that last week Amnesty International USA held a big event in order to increase pressure on the US government to close the facility. “We have written a lot of letters to the US government. The last time was at the end of March, we addressed our letter to Hagel the secretary of defense asking him for the closure of Guantanamo and a fair trial for the people who are held there,” he said. Amnesty International’s 2012 annual report is a survey on human rights in 159 countries. The organization, founded in 1961, claims it does not accept funding from governments. It draws information on human rights abuses from its 3 million members and supporters around the world. 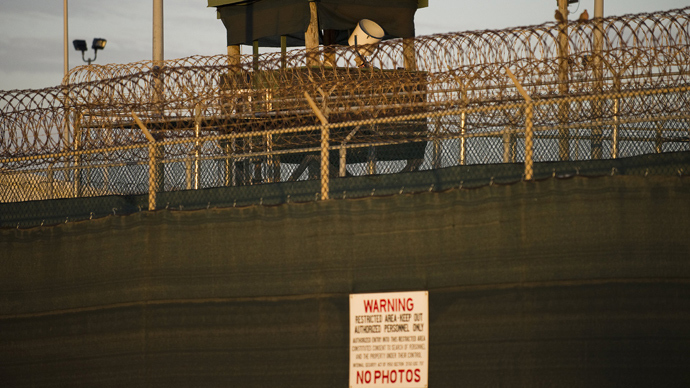 The human rights group also keeps count of the death toll at Guantanamo: “Adnan Farhan Abdul Latif, a Yemeni national who repeatedly expressed distress at his indefinite detention without charge or trial, died during the year, bringing to nine the number of detainees known to have died at Guantanamo since January 2002 ,” the report said. Latif was one of the first Gitmo prisoners, taken into US custody in 2001. He was ordered to be released from prison by the US District Court in Washington in July 2010, but the decision was overruled a year later on the grounds that Latif was an Al-Qaeda combatant. The Amnesty International report recounts the 2012 trials – or rather, “attempts at trials” – for the Gitmo detainees. Five Gitmo prisoners accused of involvement in the 9/11 attacks were arraigned for a capital trial last year that did not take place. Another detainee who was allegedly tortured, Pakistani national Majid Khan, pleaded guilty in December 2012. He became the seventh prisoner convicted by a military commission at Guantanamo, and one of the five who had pleaded guilty in return for the possibility of early release from US custody. The report also raised the issue of the 600 detainees in US custody at the US Military base in Afghanistan’s Bagram. Fifty of the inmates are non-Afghan nationals, some also held without charge or trial. The ongoing US program of targeted killings of suspected terrorists in Pakistan, Somalia and Yemen –as well as the questionable legal grounds of the practice – was the basis of another lengthy entry. “Available information, limited by secrecy, indicated the US policy permitted extrajudicial executions in violation of international human rights law under the USA’s theory of a ‘global war’ against Al-Qaeda and associated groups,” the report said. Drone strikes have increased sevenfold under Obama, Bloomberg reported in April. The US covert program to target and kill Al-Qaeda and Taliban commanders saw 35 strikes in Pakistan in 2008, the last year President Bush was in office, the Long War Journal reported. That figure grew in the following years, reaching a peak of 117 attacks in 2010. Last year, 46 US drones strikes took place in Pakistan. 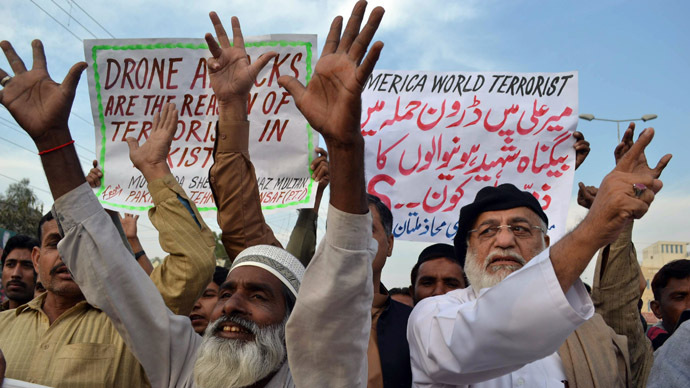 A high court in Pakistan recently ruled that US drone strikes in the country should be considered war crimes. It also recommended that the Pakistani government address the issue in the United Nations, saying the strikes violated the organization’s charter and the country’s laws, but the growing uproar in Pakistan has done little to change Washington’s drone war. "Our researchers, when talking to people in Pakistan, find that the people are living in constant fear in very remote areas. You really cannot figure out, at the end of the day, who has been injured or killed in a drone attack," Amnesty International Secretary General Salil Shetty said, according to AP. The London-based group’s report was issued on Wednesday, the same day Washington admitted to killing four US citizens with drones. 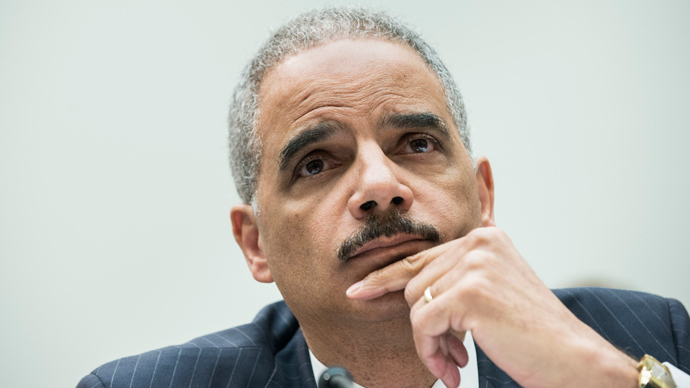 In a letter to the Senate Judiciary Committee, Attorney-General Eric Holder revealed that Anwar Awlaki was the only US citizen specifically targeted by a drone, while three others – Abdulrahman Awlaki, Samir Khan and Jude Kenan Mohammed – were also casualties in the drone war. Amnesty told RT that they have asked for transparency on how many people have been killed in drone attacks, or whether intelligence provided for an attack was reliable or not. “We don’t have these details. We have been demanding that the US government is more transparent in everything that has to do with drone attacks. But so far we don’t have any information on what the US government’s position is on this,” an Amnesty spokesman told RT. He added that Amnesty hoped that the situation would be clarified in Obama’s speech Thursday about counter terrorist issues. The CIA’s program of secret detention is mentioned among other US human rights violations. Amnesty International is concerned that no one was held accountable for the deaths of two people, who are believed to have perished in US custody abroad. “On 30 August, the US Attorney General announced the closure of criminal investigations into the death of two individuals in US custody outside the USA. He stated that no one would face criminal charges in relation to the deaths, believed to have occurred in Afghanistan in 2002 and Iraq in 2003,” the report said. 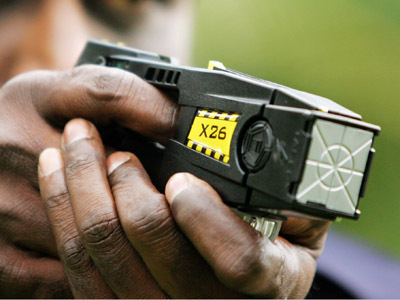 Forty-two people died in the US in 2012 after tasers were used against them by police, according to Amnesty International. “Most of those who died after being struck with a Taser were not armed and did not appear to pose a serious threat when the Taser was deployed,” the report said. The potential risks of tasers – electroshock pistol-like weapons capable of jolting the target with 50,000 volts of electricity – have long been a source of public concern. “We don’t know what their mortal capacity is, so they shouldn’t be used until there is more evidence that they don’t kill people,” a spokesman told RT. , a 35-year-old from western New York. Metcalf died in November after suffering a massive heart attack while in the custody of the Erie County Sheriff's Office. Amnesty is campaigning for their use to be suspended.